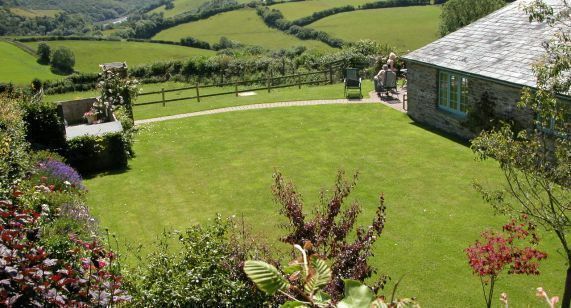 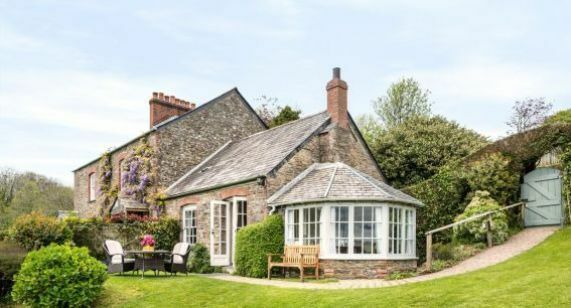 Well Cottage was once the old bake house, well house and stable to serve the original medieval Treworgey Manor, which burnt down in the 18th Century. 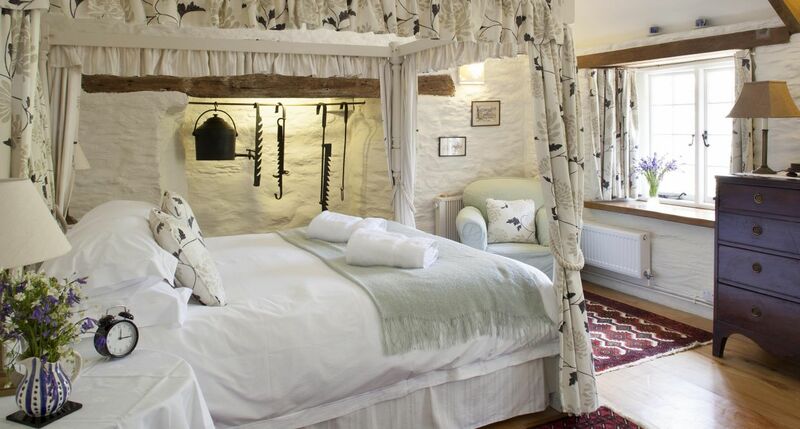 The ancient inglenook fireplace still exists, now in a charming and spacious bedroom with beech wood floor, thick wool rugs and king-size four-poster bed; perfect for honeymooners. 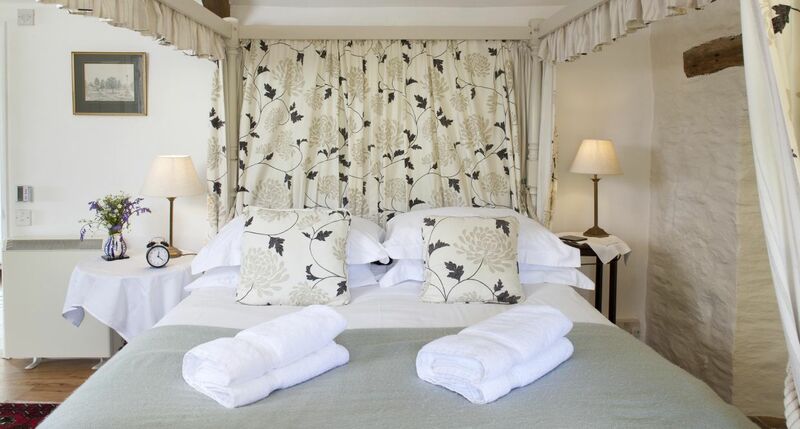 There is also ample room for a cot or a folding bed for a small child*. 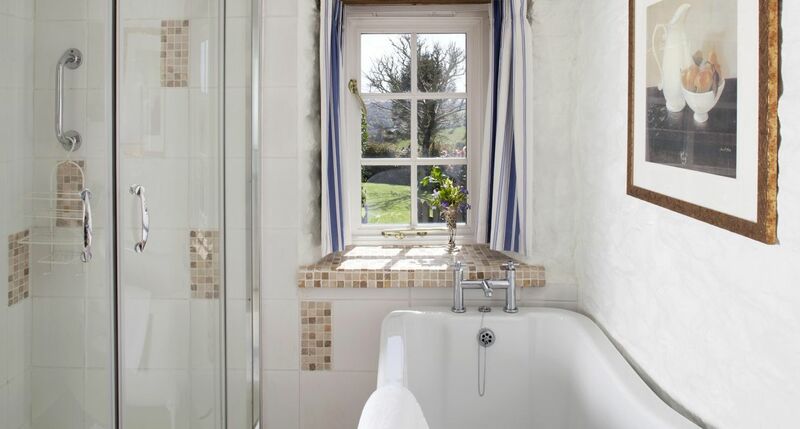 The pretty bathroom en-suite has a luxurious slipper bath, separate shower and under-floor heating. 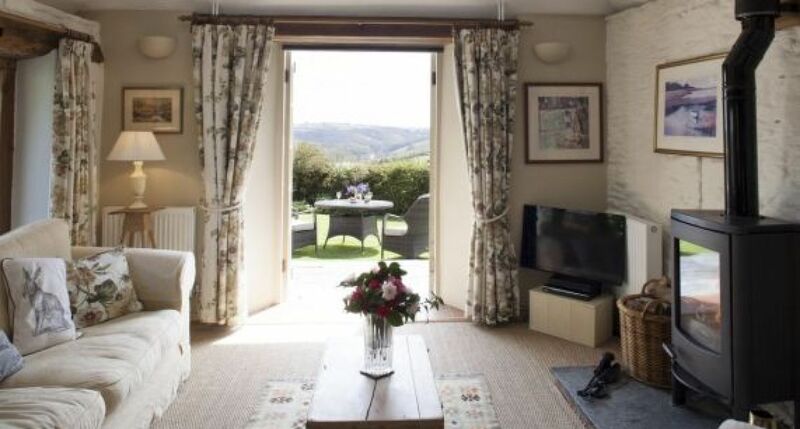 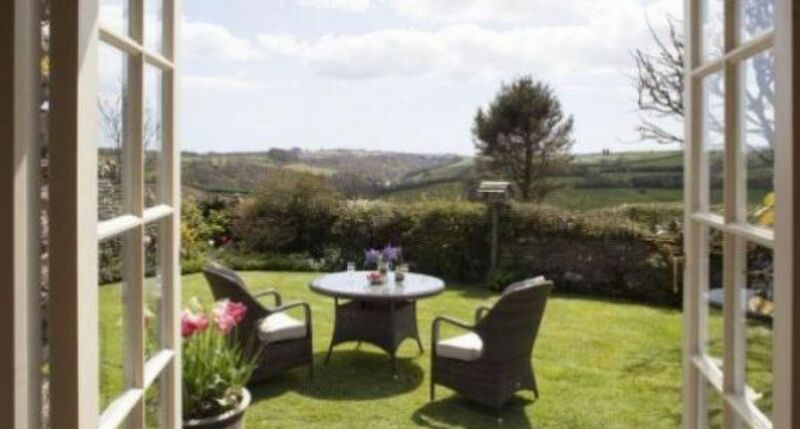 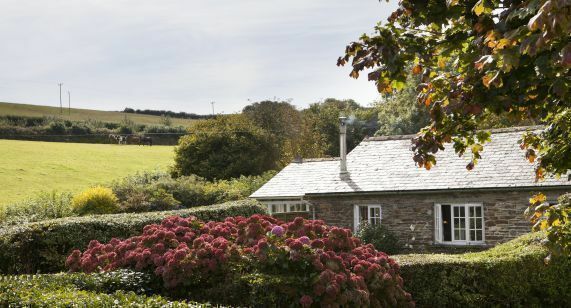 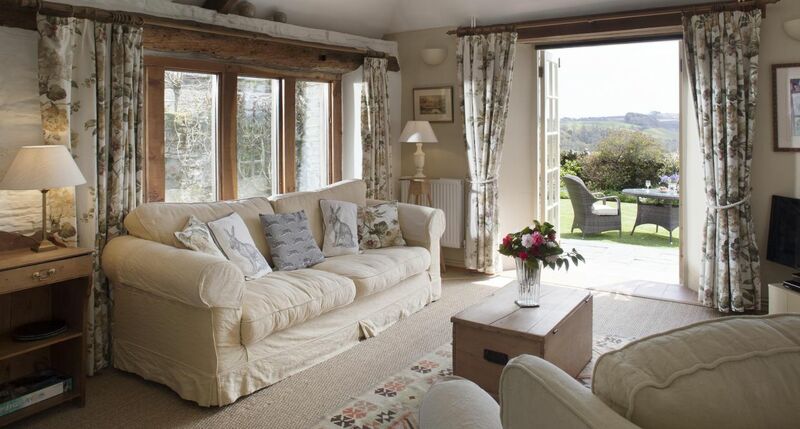 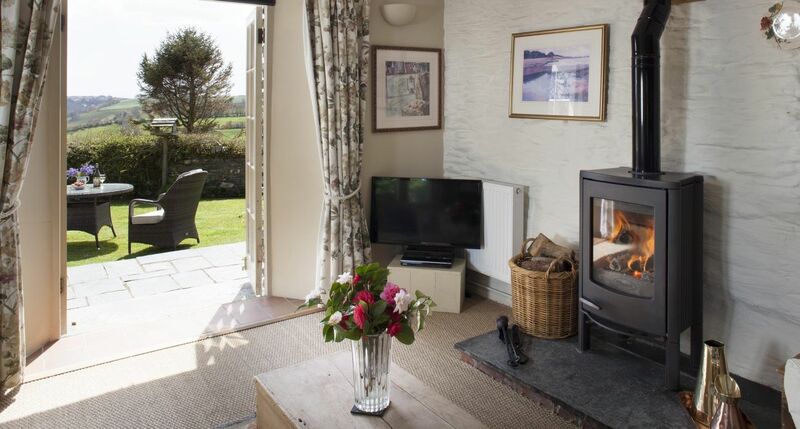 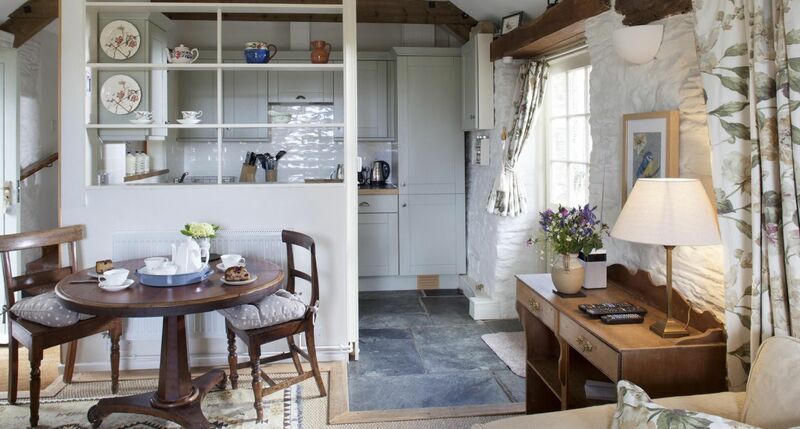 The fully-equipped Shaker-style kitchen has a Cornish slate floor, leading to the cosy and spacious sitting room with a big, comfortable, cream loose-covered sofa and armchair, glass-fronted log-burner, books, antiques, freeview TV, DVD and hifi. 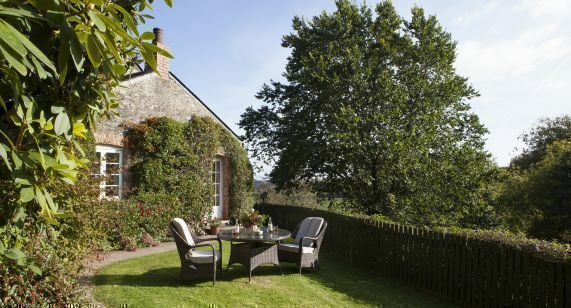 French doors open onto the slate-paved dining area and garden. 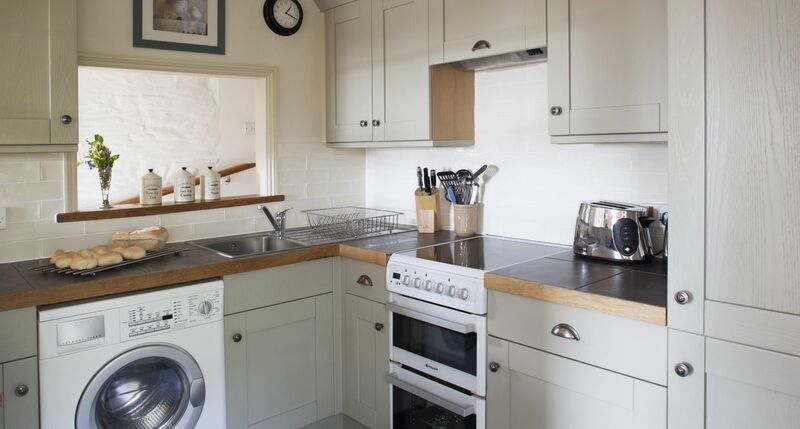 The cottage entrance, sitting room, and kitchen are on the same level, while there are three easy-going steps with a handrail up to the bedroom and bathroom. 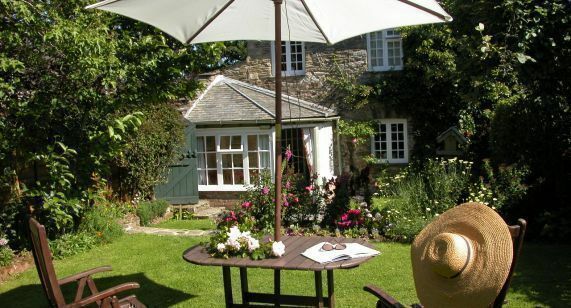 Many guests hardly ever leave the cottage with its level, spacious and sunny walled garden, and wonderful views to the river beyond.